Hekab Be Biblioteca ~ Open Road Community Library: We're Swingin' Now! 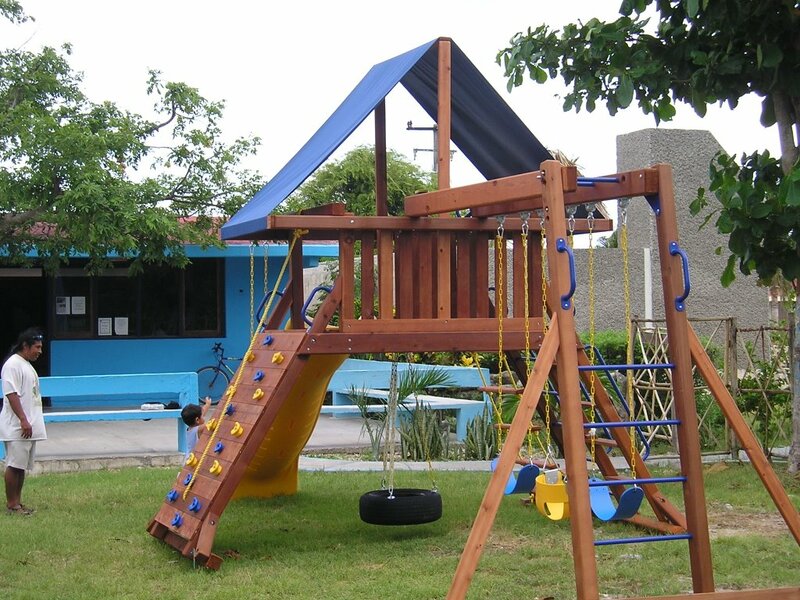 Just in time for our summer program, the new swingset/jungle gym has been installed at the library. It was tested by Niko (Ellie's 2 yr. old) and thoroughly kid approved! 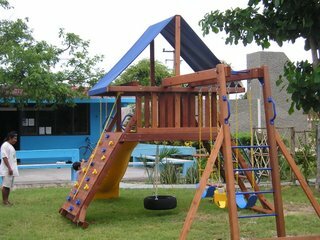 it's a truly outstanding set with swings, a fast slide, lots of places for climbing, monkey bars & even a little telescope to peek through. 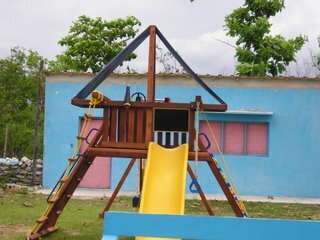 Many thanks to Don & Jean Pfifer, Julie & Kevin Fraiser, and David & Laura Wolfe for helping to purchase it, transport it to Akumal, and lending a workman to install it. This will be an extra enticement for kids to participate in the summer course! Maggie, so nice to see the swingset up and the rooms getting painted! We stopped by in June and the swingset was still in boxes. It looks great! Hope all is going well there. Keep up the good work!